The Plan oversees the federal UCR Agreement which requires individuals and companies that operate commercial motor vehicles in interstate or international commerce to register their business with a participating state and pay an annual fee based on the size of their fleet. This includes all carriers – private, exempt or for hire. 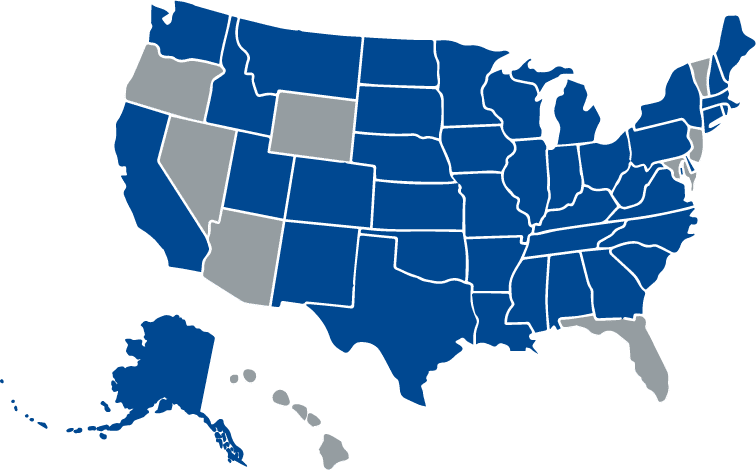 These 41 states are included in the UCR Act. The UCR Agreement is found in 49 United States Code (USC) section 14504a (hereinafter referred to as section 14504a or § 14504a). The Unified Carrier Registration Plan (UCR) is recommending an extended grace period for 2019 enforcement. UCR is requesting that states delay enforcement to May 1 for the 2019 registration period. The delay is intended to provide motor carriers with ample time to register for the 2019 period. For more information, visit www.ucr.gov. The schedule of UCR fees for 2019 was published in the Federal Register in late December. The new UCR National Registration System (www.ucr.gov) is ready to handle registrations. For support or questions, call 1-833-UCR-PLAN or send an email to helpdesk@ucr.gov. UCR participating states are required to conduct an annual audit of carriers based in their state. The audit must be complete by March 31 and submitted by June 1. More information is available on the UCR website.